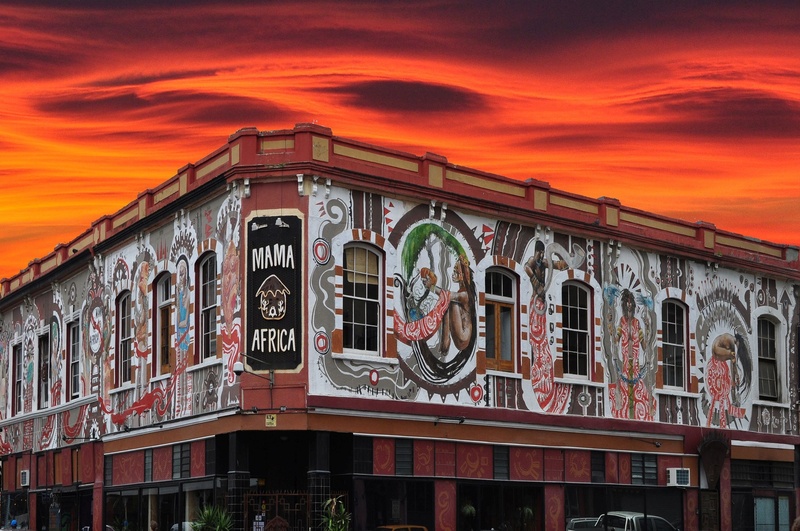 Mama Africa Restaurant was established in 1995 as a celebration of South Africa’s new democracy and of the vibrant diversity and hospitality of the African continent. Since opening, Mama has served as an oasis for tourists and locals alike to meet, eat, drink and interact in a warm and welcoming environment. The kitchen is well-known for serving hearty and uniquely South African meals, including unmissable mixed grill of crocodile, ostrich, springbok, kudu and venison. Enjoyed alongside the in-house band that plays a lively mix of traditional and modern music, Mama Africa serves as the ideal spot to enjoy a meal then linger on with new-found friends. At Mama’s, the philosophy is that guests should leave with a full tummy and a happy heart. *Glass of wine may be substituted with a bottle of water. Wine tasting voucher can be used at the Thelma Wine Estate. Bookings are essential. Website and email bookings are considered confirmed only once Mama Africa has replied with confirmation email. Bookings for times within 24-hours of initial request must be made by telephone. One offer applicable per card. Items on offer cannot be exchanged or substituted. City Pass cardholders must present card to waitress upon being seated in order to redeem offer.